The Dallas Cowboys completed a winless and desultory pre-season Thursday night with a lifeless 14-6 loss to the Houston Texans. Running from 7 to 10:11 p.m. on CBS11, the game drooped to 320,495 total D-FW viewers, with less than one-third of them (106,100) within the advertiser-prized 18-to-49-year-old demographic. The regular CBS lineup was exiled over to sister station TXA21, where an 8 p.m. episode of Big Brother made the best showing against the Cowboys with 128,198 total viewers and 53,050 in the 18-to-49 realm. ESPN’s prime-time college football attraction, a Big Ten matchup between Northwestern and Purdue, averaged just 35,611 total viewers while Fox Sports 1’s Oklahoma State-Missouri State game did worse with 21,366. TEGNA8 won a downsized three-way race at 10 p.m. in total viewers while Fox4 drew the most 25-to-54-year-olds (main advertiser target audience for news programming). Fox4 again crunched the competition with twin wins at 6 a.m. In both ratings measurements, the station had more than the combined audience for the waker-uppers on NBC5, TEGNA8 and CBS11. NBC5 enjoyed the early evening, sweeping at both 5 and 6 p.m. CBS11’s local newscasts at those hours were rubbed out by a pair of Cowboys specials. So exactly what was TEGNA8 anchor Cynthia Izaguirre apologizing for? Another follower, Gabe (@raiderduke505), also praised Izaguirre for her honesty and strength of character. “Even though I missed what happened,” he added. 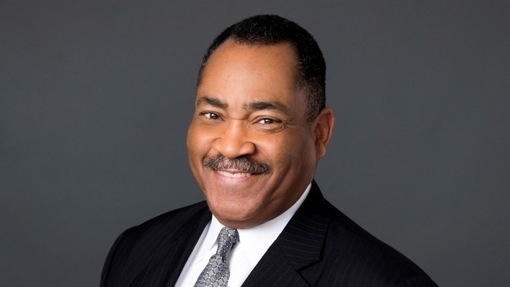 At the midway point of Thursday’s 5 p.m. edition, co-anchor John McCaa read a short piece about a New York City “Map Hack” that led to an apology from Snapchat. 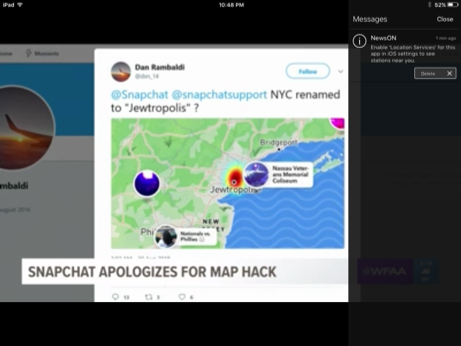 TEGNA8 showed the offending graphic (pictured above) and McCaa said the word “Jewtropolis” (NYC’s fake new name) before Izaguirre could be heard laughing loudly off-camera. Izaguirre, who regularly is called “Izzy” on the air, also encouraged viewers to phone her directly at the station if they wanted to talk further. It’s true that one mark of true character is a willingness to admit one’s mistakes. Izaguirre has never been hesitant to do that. And it goes a long way toward winning viewers over -- as long as it’s not constant. In that respect, Thursday’s misstep and Izaguirre’s apology ended up receiving rave reviews from her Twitter followers. “You’re awesome, Cynthia! Your apology shows your utmost professionalism,” enthused Terry (@Terrys508). “Sigh and thank you,” Izaguirre replied. The long, hot summer continues to wind down while ABC’s America’s Got Talent and CBS’ Big Brother heat up down the home stretch of their final verdicts. AGT paced all of Wednesday’s prime-time programming in total D-FW viewers by pulling in 220,785 in the 7 p.m. hour. And the competing BB as usual led with advertiser-coveted 18-to-49-year-olds (78,015). Fox4’s local 9 p.m. newscast otherwise again fared well against network entertainment programming. winning from 9 to 10 p.m. in both total viewers (156,686) and among 18-to-49ers (40,568). And now for Wednesday’s four-way local news derby results. Fox4 won among total viewers, but got nipped by TEGNA8 in the fight for 25-to-54-year-olds (main advertiser target audience for news programming). The 6 a.m. sweep once again went to Fox4 while the 6 p.m. firsts were split between NBC5 in total viewers and TEGNA8 in the 25-to-54 realm. At 5 p.m., Fox4 and NBC5 tied for the most total viewers, with Fox4 alone on top with 25-to-54-year-olds. Summertime -- and the viewing is cheesy. Although it dominated as usual Tuesday among total D-FW viewers, NBC’s America’s Got Talent got gonged by ABC’s competing Bachelor In Paradise among advertiser-coveted 18-to-49-year-olds. BIP drew 74,894 of ‘em from 7 to 9 p.m. while AGT took the silver with 68,653. In total viewers, though, it was no contest. AGT had 313,372 compared to BIP’s 121,076. CBS’ NCIS and Bull repeats also beat BIP from 7 to 9 p.m. in total viewers. In the 9 p.m. hour, Fox4’s local newscast won in both total viewers (178,053) and with 18-to-49ers (46,809). Monday’s prime-time Nielsens were paced by Fox4’s 9 p.m. news in total viewers (199,419) while NBC’s two-hour American Ninja Warrior took the 18-to-49 crown with 56,171. Monday -- Two stations scooped up all the spoils. Fox4 won at 10 p.m. and 6 a.m. in total viewers and among 25-to-54-year-olds (main advertiser target audience for news programming). NBC5 swept both the 5 and 6 p.m. competitions. Tuesday -- Same story. Fox4 ran the table at 10 p.m. and 6 a.m. while the Peacock had doubleheader wins at both 5 and 6 p.m. The rapid ascent of Hanna Battah continues. After joining Dallas-based Fox4 in June to replace Jenny Anchondo as the weekend Good Day anchor, Battah has been bumped up to weekday editions of the show. When Good Day expands another hour to 10 a.m. on Tuesday, Sept. 4th, Battah will co-anchor the 4 to 6 a.m. portion of the program and then report during the remaining morning hours. Incumbent anchors Tim Ryan and Lauren Przybyl get to start their shift two hours later and preside from 6 to 10 a.m., Fox4 announced Wednesday. Meteorologist Evan Andrews and traffic anchor Chip Waggoner will soldier through “the entirety of the newscast,” vice president and news director Robin Whitmeyer said in the station’s publicity release. 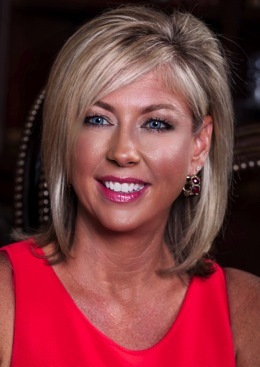 Battah made a quantum leap from Bakersfield, CA’s KBAK/KBFX-TV when she joined Fox4. Bakersfield is the country’s 126th television market while Dallas-Fort Worth is No. 5 and slowly closing in on No. 4 Philadelphia. 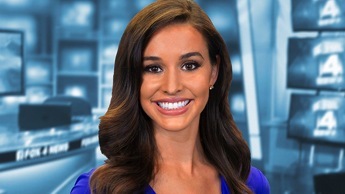 “In the short time since Hanna joined Fox4, she has proven she has the talent and intelligence to take on this important role,” Whitmeyer said. Battah’s 4 to 6 a.m. desk mate is yet to be named, and there could be a series of tryouts for that spot. “It has not been filled yet. We will let you know when it is,” a Fox4 corporate spokesperson told unclebarky.com Wednesday. The 6 to 7 a.m. weekday portion of Good Day has been a dominant force in the D-FW ratings and hasn’t been beaten on a single day since early spring. Good Day also usually outdraws the three competing network morning shows from 7 to 9 a.m.
Fox4 remains the only D-FW station to start its early morning weekday newscast at 4 a.m., which it has been doing since Wednesday, May 9th. NBC5, TEGNA8 and CBS11 all still begin at 4:30 a.m., although that is likely to change at some point. The new 9 to 10 a.m. portion of Good Day will be competing against back-to-back episodes of Let’s Make A Deal on CBS, the third hour of NBC’s Today show and TEGNA8’s homegrown Good Morning Texas. The old axiom is that people love to see a car wreck. But where the Dallas Cowboys are concerned, nope. Sunday night’s Game 3 of the pre-season, a 27-3 loss to the visiting Arizona Cardinals, ran from 7:07 to 10:09 p.m. on NBC’s showcase Sunday Night Football stage. Dallas didn’t score until the final seconds of the game. And by that time, the D-FW audience had shrunk considerably. Overall, Cowboys-Cardinals averaged 505,669 total viewers and 187,236 within the advertiser-prized 18-to-49-year-old demographic. Last year’s Game 3, a 24-19 win over the Indianapolis Colts on CBS11, pulled in 559,875 total viewers, with 192,426 in the 18-to-49 age range. Neither game was a so-called “dress rehearsal” in which starters played much of the first half. In 2017, Dallas was scheduled to play five pre-season games, with Game 4 ending up as the dress rehearsal. Game 5, against the Houston Texans, was canceled in the aftermath of Hurricane Harvey. Also notable: Last year’s Game 3 was played on a Saturday night when many potential viewers tend to be out and about. But it still out-performed this year’s game versus Arizona, which got a more visible stay-at-home Sunday slot. Of course the score didn’t help. The Cowboys had eight turnovers and basically were out of the game at halftime. Reacting accordingly, D-FW viewers tuned out as the game wore on. In total viewers, the crowd decreased in each 15-minute increment from 9 p.m. until the end, when just 313,372 viewers remained, some of them possibly asleep. Among 18-to-49ers, the steady drop-off started at 8:15 p.m. By the end of the game, only 112,342 remained. The Cowboys still decimated all competing Sunday night programming. CBS’ 7 p.m. hour of Big Brother fared the best, with 156,686 total viewers and 65,533 within the 18-to-49 motherlode. As usual, that’s a higher percentage of 18-to-49-year-olds than the Cowboys managed. In Friday’s prime-time Nielsens, NBC’s 9 p.m. edition of Dateline led all programming with 95,436 total viewers and also edged the 9 to 10 p.m. portion of CBS’ Detroit Lions-Tampa Bay Buccaneers game among 18-to-49-year-olds. NBC5 had the most total viewers at 10 p.m. while the Peacock and Fox4 tied with 25-to-54-year-olds (main advertiser target audience for news programming. Fox4 continued its lengthy 6 a.m. winning streak with another sweep. NBC5 drew the most total viewers at 5 and 6 p.m., and Fox4 was tops with 25-to-54-year-olds at those hours. CBS, which used to have Thursday Night Football, took the measure of Fox’s version with a competing 8 p.m. episode of Big Brother. Not in total viewers, as it turns out. But in the audience demographic of most value to advertisers -- 18-to-49-year-olds. Big Bro pulled in 89,873 D-FW viewers in this age range to nip the 8 to 9 p.m. portion of the Cleveland Browns-Philadelphia Eagles pre-season game (88,937). The NFL otherwise narrowly prevailed among total viewers in head-to-head competition with 213,663 to Big Bro’s 192,297. CBS’ summer moneymaker had a higher percentage of 18-to-49ers than Browns-Eagles, which Cleveland won by a 5-0 baseball score. In Wednesday’s prime-time Nielsens, NBC’s America’s Got Talent had the most total viewers (235,029) while a 7 p.m. episode of Big Bro led all TV attractions among 18-to-49-year-olds (93,618). Here are the local news derby results for Wednesday and Thursday. Wednesday -- TEGNA8 ran first at 10 p.m. in total viewers, but Fox4 won among 25-to-54-year-olds (main advertiser target audience for news programming). Fox4 methodically swept the 6 a.m. competitions again. Fox4, NBC5 and TEGNA8 shared the total viewers lead at 6 p.m., with TEGNA8 alone on top with 25-to-54-year-olds. At 5 p.m., NBC5 won in total viewers and Fox4 was tops with 25-to-54-year-olds. Thursday -- TEGNA8 swept a downsized three-way competition at 10 p.m., with Fox4’s news delayed by football. The 6 a.m. spoils again went to Fox4 while NBC5 rode to a 6 p.m. sweep. At 5 p.m., the Peacock had the most total viewers and Fox4 prevailed with 25-t-54-year-olds. LOCAL TV PROGRAMMING NOTE -- Pulling Together, a CBS11 special tied to a day of charity tug of war competitions on behalf of the Children’s Cancer Fund, will air at 11 a.m., Saturday, Aug. 25th and be repeated at 7 p.m. on Monday, Aug. 27th by sister station TXA21. CBS11 anchors Karen Borta and Doug Dunbar both fielded teams. CBS11, which sponsored the Aug. 11th event, on Friday exceeded a goal of $200,000 in funds raised, according to CBS11/TXA21 communications director Lori Conrad. After another too short and too hot summer, most Dallas school kids trudged back to their classrooms Monday. D-FW’s early morning news programs again were happy to see the ratings upsides, with larger pools of parents both back from vacations and more attuned to any weather, traffic or other issues that might affect their backpacking broods. Fox4’s Good Day jumped higher for joy than the rival attractions on NBC5, TEGNA8 and CBS11. Pole-vaulted is more accurate, particularly among the key news demographic of 25-to-54-year-olds. In the most-watched 6 to 7 a.m. slot Monday, Fox4 pulled in 88,239 viewers in the 25-to-54 age range, far more than the combined crowds for TEGNA8 (26,472), CBS11 (17,648) and NBC5 (14,707). Tuesday’s Nielsens delivered another spanking, with Fox4 drawing 70,591 viewers in the 25-to-54 realm, compared to 29,413 for TEGNA8, 11,765 for NBC5 and 8,824 for CBS11. On both mornings, Good Day also easily won the 6 a.m. hour in total viewers, with CBS11 placing a distant second on Monday and TEGNA8 taking the far behind runner-up spot on Tuesday. The 7 to 9 a.m. portions of Good Day also whipped the three competing network morning shows in both ratings measurements on Monday and Tuesday. Tuesday’s prime-time numbers as usual were dominated by NBC’s America’s Got Talent, which had 334,739 total viewers and 118,583 within the 18-to-49-year-old demographic (main advertiser target audience for entertainment programming). On Monday night, Fox4’s 9 p.m. local newscast led all programming in total viewers (149,564) while ABC’s Bachelor In Paradise was tops with 18-to-49ers (53,050). CBS’ extended one-hour When Corden Met McCartney, which aired from 7 to 8 p.m., drew 113,954 total viewers and 24,965 in the 18-to-49 motherlode. Both were good for third place finishes at that hour against competition on the other three major broadcast networks. Fox’s 7 to 8 p.m. slice of So You Think You Can Dance twice ran out of the money in fourth place. Here are the Monday and Tuesday local news derby results (with 6 a.m. already accounted for). Monday -- NBC5 swept both the 10 p.m. and 5 p.m. competitions in total viewers and among 25-to-54-year-olds. The Peacock and TEGNA8 tied for the most total viewers at 6 p.m., but NBC5 had the gold to itself in the 25-to-54 demo. Tuesday -- Fox4 ran the table at 10 p.m. and NBC5 enjoyed the early evening with sweeps at both 5 and 6 p.m.
Game 2 of the Dallas Cowboys’ latest largely meaningless pre-season fell just slightly below last August’s second contest. Starting at 6 p.m. and seeping past 9 p.m. Saturday on CBS11, the Cowboys’ 21-13 loss to the visiting Cincinnati Bengals averaged 384,593 total D-FW viewers and 121,703 in the advertiser-prized 18-to-49-year-old demographic. In last August’s Game 2, a 13-10 loss to the Los Angeles Rams pulled in 407,182 total viewers and 121,870 within the 18-to-49 motherlode. Of more concern to the Cowboys, and to the NFL in general, are the continued low percentages of 18-to-49-year-olds tuning in. Getting 50 percent or better of these viewers is a demographic success story, but the audience of 18-to-49-year-olds for each of these pre-season games was less than 33 percent. In contrast, CBS’ regular 7 p.m. Sunday episode of Big Brother had 249,274 total viewers and 121,704 in the 18-to-49 age range. That’s the same number of 18-to-49ers drawn by Cowboys-Bengals -- and also right on the cusp of the 50 percent mark. The Cowboys game and Big Brother were the biggest draws in both ratings measurements on their respective nights. On Friday, CBS also led all prime-time TV attractions in total viewers with an 8 p.m. hour of Whistleblower (106,832 viewers). And the network’s 7 p.m. offering, TKO: Total Knock Out ranked as the top draw among 18-to-49-year-olds, but with a comparatively puny 31,206 of ‘em. But hey, it was a Friday. NBC5 swept the 10 p.m. competitions in both total viewers and with 25-to-54-year-olds (main advertiser target audience for news programming). Fox4 once again crushed the opposition with twin wins at 6 a.m. The 6 p.m. golds went to TEGNA8 in total viewers and Fox4 among 25-to-54-year-olds. At 5 p.m., NBC5 won in total viewers while tying CBS11 for the top spot with 25-to-54-year-olds. Out of harm’s way -- namely Wednesday night’s competing America’s Got Talent with its first live results show of the season -- CBS’ Big Brother returned to dominance Thursday. BB easily led all prime-time TV attractions in both total D-FW viewers (213,663) and with advertiser-craved 18-to-49-year-olds (112,342). Which means that more than half the show’s audience was in the “desired” 18-to-49-year-old motherlode. No other CBS show, including new episodes of The Big Bang Theory, can match that. ABC plugged in a one-hour Aretha Franklin tribute at 7 p.m. It drew 56,977 total viewers, with 15,603 in the 18-to-49 realm. The “Queen of Soul” died Thursday at the age of 76. NBC5 and TEGNA8 tied for the most total viewers at 10 p.m., but TEGNA8 was alone in first among 25-to-54-year-olds (main advertiser target audience for news programming). Fox4 as usual/always swept the 6 a.m. competitions. At 6 p.m., TEGNA8 had the most total viewers while tying Fox4 and NBC5 for the lead with 25-to-54-year-olds. The 5 p.m. golds went to NBC5 in total viewers and Fox4 in the 25-to-54 demographic. NBC’s America’s Got Talent went to the first live results show of its latest season Wednesday night, and it showed in direct competition with the usual 7 p.m. winner, CBS’ Big Brother. AGT pulled in 348,983 D-FW viewers in crunching BB’s runner-up 220,785. But Big Brother fought back among advertiser-coveted 18-to-49-year-olds, drawing 106,100 in pounding America’s Got Talent down into second place with 71,738. NBC then won the 8 to 9 p.m. hour in total viewers with the first half of World of Dance (142,442) before narrowly losing from 9 to 10 p.m. to Fox4’s local newscast (149,564). The hour-to-hour results were the same among 18-to-49-year-olds. In Tuesday’s prime-time proceedings, AGT easily ranked as the night’s biggest scorer in both total viewers (341,861) and with 18-to-49ers (71,774). Tuesday -- Fox4 swept the 10 p.m. and 6 a.m. races in both total viewers and with 25-to-54-year-olds (main advertiser target audience for news programming). TEGNA8 drew the most total viewers at 6 p.m. while NBC5 took the top spot with 25-to-54-year-olds. At 5 p.m., Fox4 and the Peacock tied for the lead in total viewers, with Fox4 along in first among 25-to-54-year-olds. Wednesday -- NBC5 had the most total viewers at 10 p.m., and Fox4 again won with 25-to-54-year-olds. Fox4 remained impregnable at 6 a.m. with another sweep. NBC5 and TEGNA8 tied for the most total viewers at 6 p.m. while the Peacock had the 25-to-54 gold to itself. CBS11 broke through for a 5 p.m. win with 25-to-54-year-olds, with NBC5 drawing the most total viewers. It’s been an up and down ride for Laurie Passman, who on Thursday was named D-FW-based CBS11’s vice president and news director after being bypassed for that position in January 2017. Passman had been acting news director for five months after CBS11 parted ways with Mike Garber in August 2016. But the station eventually went outside to hire Andrea Parquet-Taylor as news director. She arrived in February of last year from WNCN-TV in Raleigh-Durham, NC, where she’d been news director since 2011. Passman returned to her assistant news director post at CBS11. But in July of this year, Parquet-Taylor was promoted to vice president and station manager of CBS11 and its sister station, TXA21. 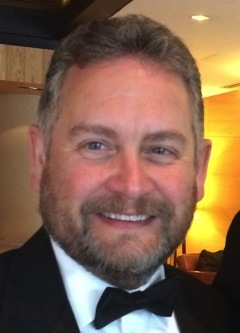 Passman again became interim news director, and now finally has the job on a permanent basis. Before joining CBS11, Passman had been assistant news director at KTVK-TV in Phoenix. Ex-TEGNA8 investigator Brett Shipp as pictured on his new website. 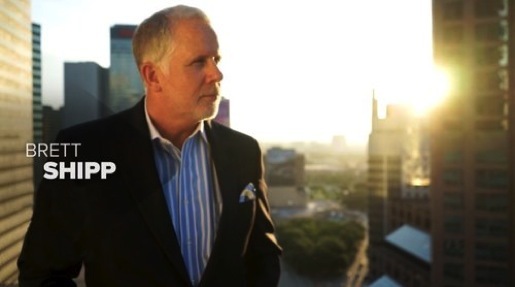 Former TEGNA8 investigative reporter Brett Shipp is hoping to reinvent his wheelhouse after leaving the Dallas-based station late last year to run unsuccessfully for Congress. Shipp surprised many of his TEGNA8 colleagues and fellow local journalists by abruptly quitting the station in December to enter the Democratic primary in the 32nd congressional district, where Republican Pete Sessions is the incumbent. He was 59 at the time and had spent 22 years at TEGNA8, where Shipp and colleague Byron Harris (who retired in October 2015) won multiple prestigious national Peabody and duPont Columbia awards. Never shy about touting his accomplishments, Shipp tells prospective clients that “to this day I remain one of the most highly decorated local television reporters in the country.” He also has sometimes taunted the subjects of his investigations. In 2010, Shipp’s probe into Southlake Carroll’s high-powered football program included his grandstanding promo in a Facebook post that was deleted after unclebarky.com called attention to it. Shipp is by no means the only D-FW television journalist to fire up his own company in hopes of generating stories for consumption by various media outlets. David Margulies (TEGNA8), Susan Risdon (NBC5), Jeff Crilley (Fox4), Mike Androvett (NBC5) and Paul Adrian (Fox4) are among the many who are in business for themselves. Former TEGNA8 anchor-reporter Jeff Brady tried for a while to go the same route but eventually gave up and joined San Antonio’s KENS-TV as a weeknight news anchor. Videos of five investigations from his time at TEGNA8 are posted on brettshippmedia.com, in addition to one by former colleague Rebeca Lopez. Shipp at times also doesn’t like his own toes being stepped on. He has not talked to your friendly content provider since October of 2016, when he strongly objected to being accurately quoted while moderating a Dallas VideoFest event titled “How the News Got Made.” Neither of Shipp’s two remarks about TEGNA8 were played prominently in the story. One of them concerned sports anchor Dale Hansen’s contributions to the Southern Methodist University “death penalty” investigation in 1987 and the other was on how he’d “get fired” by TEGNA8 if he disclosed his opinion on the quality of today’s television news. He refused to engage further on the matter, but promises to be his usual pit bull self in the interests of any clients that brettshippmedia obtains. He’d like to keep it that way. Fox4’s 9 p.m. local newscast carried the day and the night Monday, ranking as D-FW’s most-watched TV attraction in two major ratings food groups. It drew the most total viewers (163,808) while also ranking tops with advertiser-coveted 18-to-49-year-olds (46,809 viewers). In the preceding 7 to 9 p.m. slot, NBC’s American Ninja Warrior won in total viewers with 128,198, and ABC’s competing Bachelor in Paradise had the upper hand with 18-to-49ers (43,688). CBS’ 8 p.m. episode of Salvation bottomed out with 71,221 total viewers and 9,362 in the 18-to-49 realm to rank last in that hour among the Big Four broadcast networks. Fox4 won at both 10 p.m. and 6 a.m. in total viewers and with 25-to-54-year-olds (main advertiser target audience for news programming). The 6 to 9 a.m. portion of its Good Day outdrew the combined audience for local and network programming on rivals NBC5, TEGNA8 and CBS11. In the 6 a.m. hour, CBS11’s local offering continued its late summer mini-resurgence with a runner-up finish among 25-to-54-year-olds. CBS11 also ran the table at 6 p.m. and drew the most 25-to-54-year-olds at 5 p.m. NBC5 won in total viewers at 5 p.m.
Tiger Woods was in it to win it, and the D-FW ratings reacted accordingly for Sunday’s final round of the PGA Championship on CBS. The resurgent Woods ended up second, just two strokes behind winner Brooks Koepka. His closing six under par 64 built the audience throughout the afternoon and early evening before Koepka prevailed just a minute after 6 p.m.. After starting with 85,465 total viewers for the initial 1 to 1:15 p.m. segment, the PGA peaked at 284,884 viewers from 5 to 5:15 p.m. The overall average of 185,175 viewers more than doubled the crowd of 87,253 for last August’s PGA, which was won by Justin Thomas. In 2017, the closing 18 holes of the PGA Championship averaged a puny 22,450 viewers in the advertiser-prized 18-to-49-year-old motherlode. With a Tiger in its tank, Sunday’s final round pulled in 62,412 viewers in this key audience demographic. CBS’ prime-time scheduled was pushed back roughly a half-hour by the PGA Championship’s post-match coverage. And although the golfers weren’t swinging their clubs anymore, the 6 to 6:15 portion of that coverage drew Sunday’s biggest crowd in total viewers with 313,372. Some of those viewers may have been expecting 60 Minutes to start on time. Saturday’s Round 3 of the PGA averaged more total viewers (135,320) than any other D-FW TV attraction in the day or night. Friday’s prime-time pacesetters were CBS’ 9 p.m. repeat of Blue Bloods in total viewers (121,076) and CBS’ 7 p.m. attraction, TKO: Total Knockout, in the 18-to-49 realm (31,206 viewers). TEGNA8 had the most total viewers at 10 p.m., while NBC5 won among 25-to-54-year-olds (main advertiser target audience for news programming). Fox4 scored twin wins at 6 a.m., with CBS11 maintaining some momentum by again climbing to the No. 2 spot with 25-to-54-year-olds. We’ll see if the station can stay in play when the kids go back to school on Mon., Aug. 20th. The early morning news ratings generally inflate at that point, with extra thousands of parents tuning in at least briefly to check on the weather, etc. At 6 p.m., CBS11 won in total viewers and NBC5 had the most 25-to-54-year-olds. The 5 p.m. golds went to the Peacock in total viewers and Fox4 in the 25-to-54-year-old measurement. The Dallas Cowboys’ opening preseason game, a 24-21 loss at San Francisco, rolled to the usual winning numbers in the D-FW Nielsens. The CBS11 telecast, which fired up at 9:05 p.m. Thursday, averaged 413,082 total viewers and drew 162,271 within the advertiser-prized 18-to-49-year-old demographic. The ratings peaked from 9:15 to 9:30 p.m., when 584,012 total viewers tuned in. From 10 to 10:30 p.m., Cowboys-49ers had 477,181 total viewers, easily outdrawing the combined 334,739 viewers for local newscasts on Fox4, NBC5 and TEGNA8. Thursday night’s usual big hitter, Big Brother, was sent from CBS to sister station TXA21 in the 8 p.m. hour to accommodate CBS11’s pre-game show. BB ended up with a Siberia-sized 113,954 total viewers and 49,930 in the 18-to-49 realm. Last Thursday in its regular home on CBS11, BB pulled in 192,297 total viewers and 102,980 in the 18-to-49 age range. On Cowboys game night, the countdown show beat BB in both ratings measurements. Fox4’s resilient 9 p.m. local newscast fared best opposite the Cowboys game with 170,930 total viewers and 40,568 in the 18-to-49 motherlode. Here are Thursday’s four-way local news derby results. TEGNA8 won the downsized 10 p.m. race in total viewers but Fox4 was tops with 25-to-54-year-olds (main advertiser target audience for news programming). Fox4 remained unbeatable at 6 a.m. with another sweep and NBC5 ran the table at 6 p.m. The Peacock and Fox4 tied for the most total viewers at 5 p.m. while Fox4 won outright among 25-to-54-year-olds. Fox4’s 9 p.m. local newscast ranked as Wednesday’s overall top prime-time performer while CBS’ Big Brother as usual took the 18-to-49-year-old cake. Drawing close to double the crowd for the competing final hour of ABC’s CMA Fest, the news roped in 199,419 total D-FW viewers. CBS’ 7 p.m. hour of Big Brother led all TV attractions among advertiser-coveted 18-to-49ers (81,136) while Fox4’s newscast came in second for the night with 56,171. Prime-time’s biggest overall loser, NBC’s 9 p.m. episode of the new Reverie, dozed with just 42,733 total viewers. TEGNA8 won at 10 p.m. in total viewers while Fox4 led with 25-to-54-year-olds (main advertiser target audience for news programming). Fox4 extended its multi-month unbeaten streak with two more 6 a.m. wins, and also led at 5 and 6 p.m. among 25-to-54-year-olds. NBC5 drew the most total viewers at both 5 and 6 p.m.
Of note: CBS11 has been perking up a bit lately in the 6 a.m. race among 25-to-54-year-olds. On Wednesday, the station ran a solid second in this key demographic, with TEGNA8 third and a still slumping NBC5 placing last. CBS11 also took the 6 a.m. runner-up spot on Tuesday in the 25-to-54 measurement. It’s only the summer, and early morning viewing levels are lower than during the school year. But at least CBS11 is showing a pulse. NBC again swooped in for the kill Tuesday night, with America’s Got Talent easily topping the prime-time charts. Airing in its usual 7 to 9 p.m. slot, AGT drew 327,617 D-FW viewers in decimating ABC’s competing season premiere of Bachelor In Paradise (99,709 viewers). AGT also reigned among advertiser-craved 18-to-49-year-olds with 71,774 while B In P took the runner-up spot (46,809). The only downside for AGT is its “skew old” percentage of 18 to 49ers. Less than 25 percent of its audience is in that realm. Episode 2 of NBC’s artsy crafty Making It, from Amy Poehler and Nick Offerman, had 113,954 total viewers at 9 p.m., placing second in that hour to Fox4’s local newscast (149,564 viewers). But Making It comfortably won from 9 to 10 p.m. among 18-to-49-year-olds with 40,568. Also airing at 9 p.m., the premiere of ABC’s Survivor ripoff, Castaways, ran fourth in total viewers in the Big Four broadcast network universe and moved up to a second-place tie with Fox4’s news among 18-to-49-year-olds. In Monday’s prime-time festivities, ABC’s three-hour season finale of The Bachelorette won from start to stop in both total viewers (142,442) and with 18-to-49-year-olds (62,412). And now for the local news derby results. Monday -- Fox4 swept the 10 p.m. and 6 a.m. competitions in total viewers and among 25-to-54-year-olds (main advertiser target audience for news programming). At 6 p.m., NBC5 and TEGNA8 tied for the top spot in total viewers while the Peacock had the 25-to-54 gold to itself. The 5 p.m. firsts went to NBC5 in total viewers and TEGNA8 among 25-to-54-year-olds. Tuesday -- In a rarity, Fox4 and TEGNA8 tied for first place at 10 p.m. in both ratings measurements. It almost goes without saying that Fox4 again had twin wins at 6 a.m. while the 7 to 9 a.m. portion of Good Day also continues to dominate the three network morning offerings. NBC5 ran first in total viewers at 5 and 6 p.m.; Fox4 won both of the 25-to-54 competitions at those hours. Mark Ginther, who joined Fort Worth-based NBC5 on September 14, 2015 as vice president of news, has been fired after an in-house investigation by the Human Resources department. Word came Monday afternoon from numerous sources. Ginther had been hired from Seattle’s NBC affiliate, KING-TV, where he was news director from 2008 to 2015. Prior to that he had been assistant news director at Dallas-based WFAA-TV from 2006-’08. NBC5 has not issued any official statement on Ginther’s termination. Brian Hocker, who reportedly is handling all inquiries, said via automated email that he’s “out of the office traveling on business” until Thursday of this week. Ginther could not be reached for comment Monday. A number of sources close to the situation say that Ginther’s firing had nothing to do with any allegations of sexual misconduct. Instead the station determined that his management style was no longer a good fit, according to sources. NBC5 also underwent numerous personnel changes during Ginther’s time at the station. And NBC5’s early morning ratings, particularly in the key 6 a.m. hour, have fallen into serious decline in the past year in the key news demographic of 25-to-54-year-olds. It’s expected that assistant news director John Stone will step in as the interim newsroom boss while NBC5 searches for Ginther’s replacement. After several days in Cleveland, your friendly content provider is back servicing unclebarky.com. But before summarizing the latest available D-FW Nielsen ratings, here’s a Dale Hansen update which earlier was tweeted from afar on @unclebarkycom. The dean of local sports anchors, who just turned 70, has signed another two-year deal with TEGNA8 that will take him through 2020. Hansen has been in this market since August 1980. He’s spent the last 35 years at TEGNA8 (previously Belo-owned WFAA-TV) after being fired by rival KDFW-TV (now branded as Fox4) in March 1983. The highly opinionated Hansen was almost immediately snapped up by his current employer. In the fall of 2017, he re-upped at TEGNA8 for just a single year through 2018 while also cutting his workload back to the Monday-Friday 10 p.m. newscasts, plus his longrunning Sunday night Sports Special. “I hope to leave before they kick me out,” Hansen said after signing that earlier contract. But if anything, TEGNA8 just can’t get enough of him. So this time around, his new deal is for twice as long. The NFL returned Thursday night with the annual Hall of Fame game on NBC. But in the 8 to 9 p.m. hour, the Chicago Bears-Baltimore Ravens face-off got narrowly outpointed by CBS’ Big Brother. BB drew 192,297 total viewers while Bears-Ravens had 185,175 in their hour opposite one another. Among advertiser-prized 18-to-49-year-olds, BB won by a score of 102,980 viewers to the NFL’s 93,618. Bears-Ravens otherwise outdrew all other competing TV attractions. On Wednesday night, Fox4’s 9 p.m. local newscast racked up the most total viewers with 220,785, knocking Big Brother into second place for the night with 170,930. But BB crunched the competition in the 18-to-49-year-old demographic with a prime-time high of 93,618. Fox4’s news pulled in second with 49,930. The Tuesday night ratings spoils again went overwhelmingly to NBC’s America’s Got Talent, which reeled in 341,861 total viewers and 71,774 in the 18-to-49 realm. Monday’s prime-time leaders were Fox4’s 9 p.m. local newscast in total viewers (199,419) and ABC’s The Bachelorette in the 18-to-49 age range (78,015). Here are the Monday-Thursday local news derby results. Monday -- NBC5 swept the 10 p.m. competitions in both total viewers and with 25-to-54-year-olds (main advertiser target audience for news programming). Fox4 as usual had twin wins at 6 a.m. and also drew the most 25-to-54-year-olds at 5 and 6 p.m. NBC5 had the most total viewers for both early evening newscasts. Tuesday -- Fox4 ran the able at both 10 p.m. and 6 a.m. while NBC5 did likewise at 5 p.m. The 6 p.m. wins went to the Peacock in total viewers and TEGNA8 with 25-to-54-year-olds. Wednesday -- Fox4 finished no worse than first in all four time slots, but twice had company. The station again had clean sweeps at 10 p.m. and 6 a.m. and also won outright among 25-to-54-year-olds at 5 and 6 p.m. In the total viewer results, Fox4, NBC5 and CBS11 tied for No. 1 at 6 p.m. while Fox4 shared the 5 p.m. lead with the Peacock. Thursday -- The 10 p.m. wins went to Fox4 in total viewers and NBC5 among 25-to-54-year-olds. Fox4 continued its long winning streak at 6 a.m. with two more lopsided wins. But NBC5 basked at 5 and 6 p.m., where it ran first in both ratings measurements.